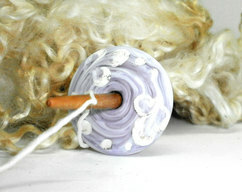 A Handmade Glass Cherry Blossom Spindle Whorl. 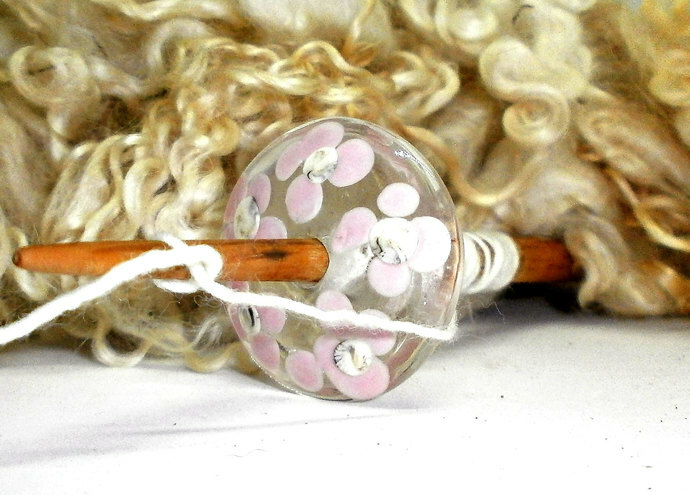 This whorl is 35mm in Diameter and has been made with clear glass and decorated with 5 little abstract flowers in Pale Pink and Ivory Glass. 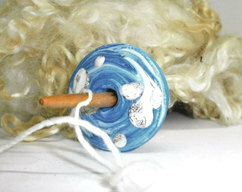 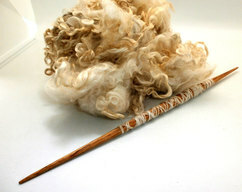 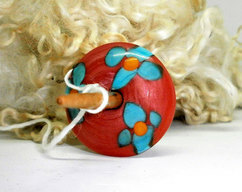 A lot of collectors have one or two shafts and swap their whorls out depending on their mood or if you fancy another type of wood, head on over to https://www.etsy.com/shop/HersheyFiberArts she has a wonderful range of spindle sticks.